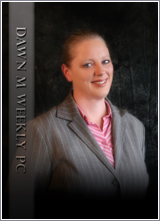 Dawn Weekly is an elder law attorney who assists individuals with long-term care planning and Medicaid/VA planning. She is a VA Accredited Attorney who also does consulting for other elder law attorneys across the country. She has given multiple presentations to national organizations on VA benefits. She is also well-versed in Medicaid planning and attended Medicaid Practice Systems training in 2007. If you are worried about your long-term care needs and would like advice on how to stretch your resources through your elder journey, Dawn can help! For clients with mobility issues, WE MAKE HOUSE CALLS! “Dawn is a fabulous attorney: gifted, knowledgeable, creative, and very caring, willing to go the extra mile for her clients' welfare--a very rare commodity in a profession often focused on the billable hour.” Joseph Welch , Owner , Cary, Welch & Hickman, L.L.P. Proudly serving Bureau, DeKalb, Grundy, Kane, Kankakee, Kendall, LaSalle, Lee, Ogle, Putnam, Will, & Winnebago Counties.